"We have the largest population of red-cockaded woodpeckers west of the Mississippi," said Daniel Jauregui, wildlife biologist at Sam Houston National Forest. "But they need heavy-handed management to survive." The poster-children of conservationism in southern pinelands, RCW's rebounded from the verge of extinction thanks to intensive, large-scale restoration of their habitat—longleaf pine forests. Before the logging boom of the 1880s these forests covered 2.9 million acres of Texas. In 1995, only 45,000 acres remained, 1% of their former glory. It's a common theme among America's ecosystems, from the oak savannas of the midwest to the coastal prairies of the Gulf. Also common is their need for human action: thinning, removing invasives, and, most of all, prescribed burning. Ecosystem restoration, therefore, is dependent on humans. And human society, of course, is dependent on ecosystems. Bound by the Multiple-Use Act of 1960, the U.S. Forest Service manages its National Forests to "best meet the needs of the American people" without "impairment of the productivity of the land." 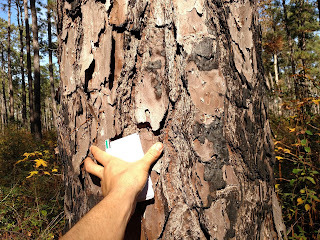 Paper and building materials come from trees, energy from subsurface drilling. The forests themselves provide recreation, fish and game, the joy of nature and the relief of stress. Not to mention clean air and water. Humans restore forests, forests provide more resources to humans. A clear example of this symbiosis is 'compartment 112,' a 900-acre plot in Sam Houston National Forest managed for both sustained human use and for longleaf (a.k.a. RCW habitat) restoration. Let's visit and see how these management objectives are not only compatible, but mutually beneficial. We'll also find some rare +100yr old longleafs. The focus is on the aforementioned RCWs. Why this one bird? First, they are a keystone species. As primary excavators, their cavities provide homes for up to 27 other species, including snakes, frogs, flying squirrels and other woodpeckers. Second, they are an indicator species. 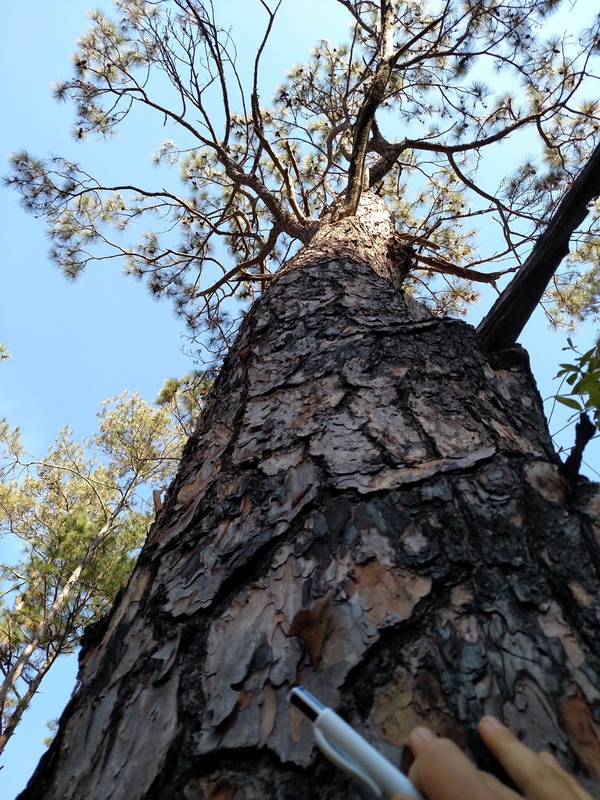 Dependent on specific habitat conditions (clear understory, +80yr old pines, preferably longleaf), RCW's are a measurement of overall forest health and restoration success. 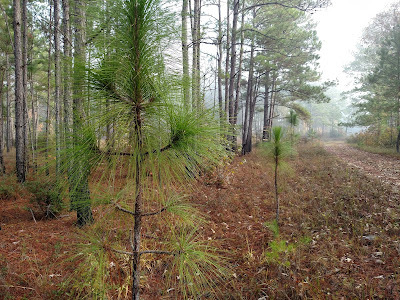 "RCW habitat restoration" and "longleaf pine restoration" are synonymous. Other species benefit from restoration efforts as well, as we've seen at Gene Rush WMA. 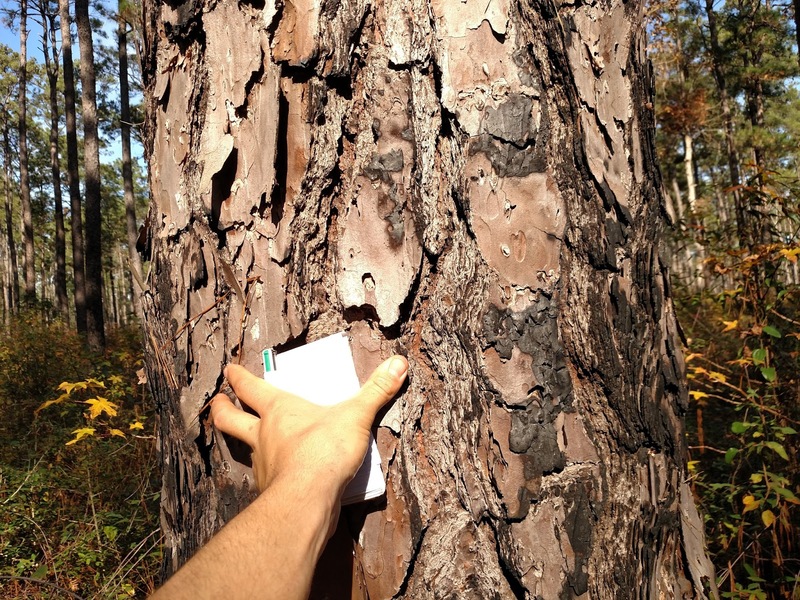 For example, deer forage is seven times greater in forests restored with prescribed fire. 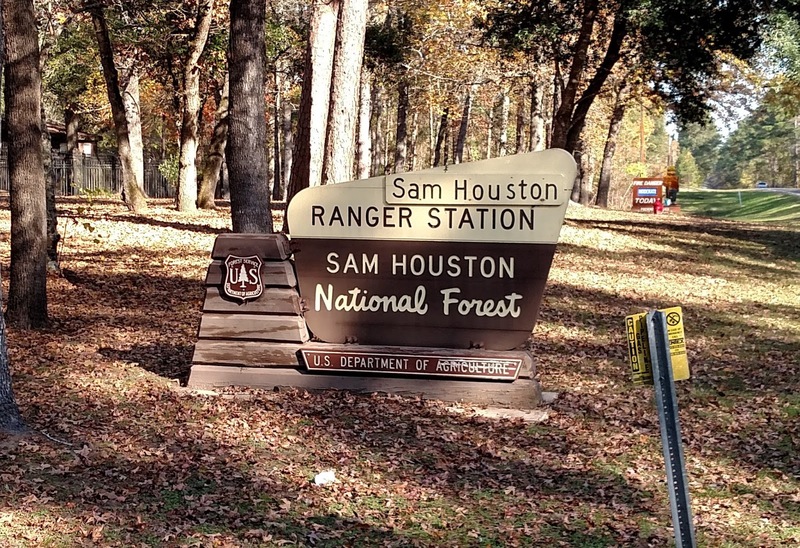 Sam Houston is home to the 140-mile Lone Star Hiking Trail, as well as 85 miles of multi-use trails (hiking, biking, horseback riding). "Connecting with the outdoors offers health benefits, both physical and emotional, providing an opportunity to sideline the pressures of jobs, family, and finances for a while and restore that important sense of peace, relaxation, and well-being." 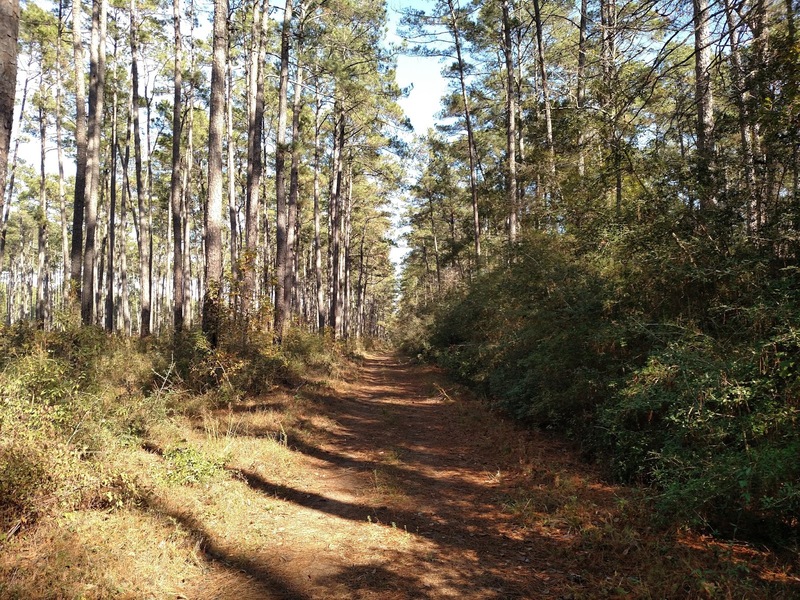 Restoration generally maintains a clear/open understory, improving access and visibility for hunters, hikers and birdwatchers alike. 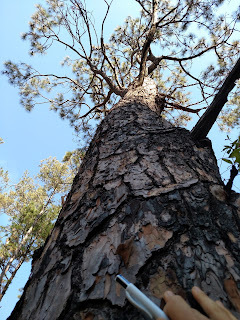 Also, a restored forest has improved aesthetics (diverse wildflowers, wide vistas and, eventually a large, majestic longleaf canopy) and will attract more visitors. The USFS posts timber sales to their website. 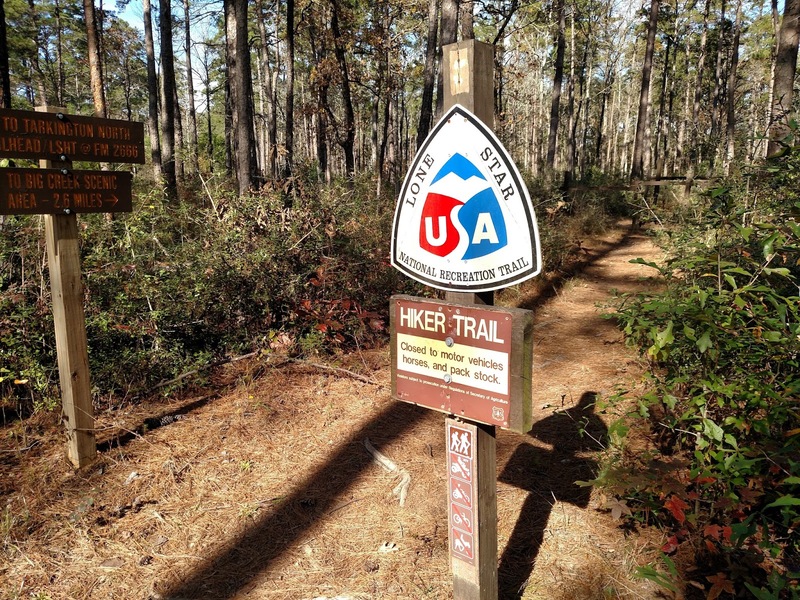 Companies can then bid for the contract to log the designated area, or "compartment," where silviculturists have marked "cut" trees and "leave" trees, like we've seen at Ouachita NF. Logging in this selective manner can actually assist in restoration because thinning (reducing stand density) and removing certain trees (unhealthy or unwanted species) are crucial to the restoration effort. 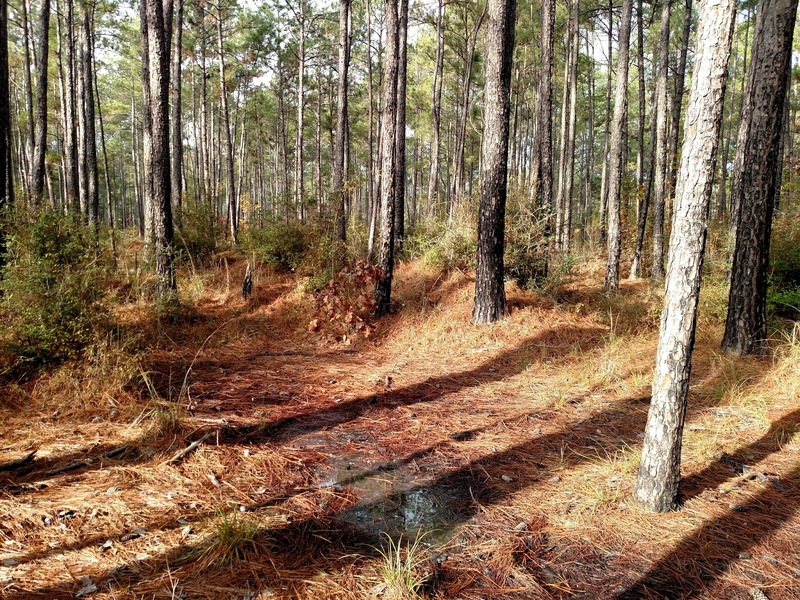 Clearcutting is sometimes allowed on 80 acres or less, to remove loblolly stands and replace them with longleaf (pic below), for example. 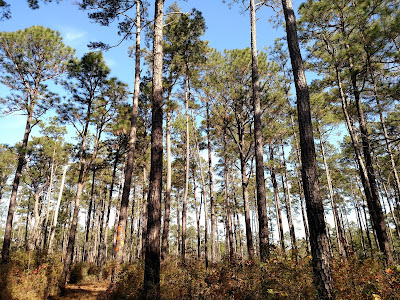 If converted to longleaf, long-term timber productivity will be equal if not greater, like we've learned at Kisatchie NF. 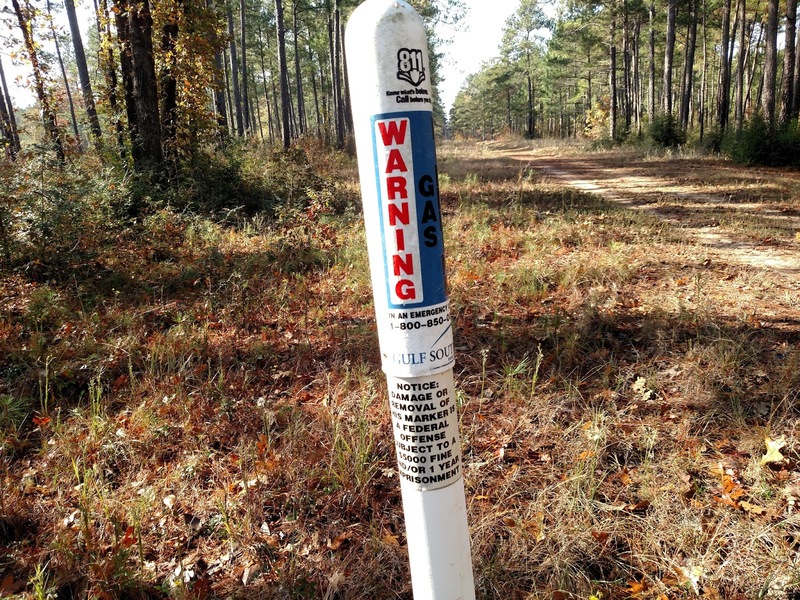 Wells and tanks are scattered throughout Sam Houston, as are pipelines, which make up the north and south boundaries of Compartment 112. Rights to drill for oil are either owned by private companies who own (mineral rights are separate from ownership of surface), or are leased with royalties payed to the US Treasury. In either case, when oil companies disturb land in one place the must restore it in another, "acre for acre," according to Daniel. This use may not coincide with restoration as much as the others, except pipelines double as firebreaks and access roads. Grazing – Sam Houston no longer grazes cattle as in the past, except the occasional "trespassers" when fences fail on adjacent cattlelands. Mining – The USFS does have a policy for mining in an ecologically-responsible manner, for example dredging for gold at Medicine Bow NF, Wyoming. At Sam Houston there is currently no mining, although in the early 1900's the land was strip mined for iron ore. The current uneven terrain is the result of mining pits and spoil mounds (pictured below). In the 1980's the USFS restored these areas by fertilizing with effluent and transplanting pines. Pits and mounds from strip mining 100 years ago. 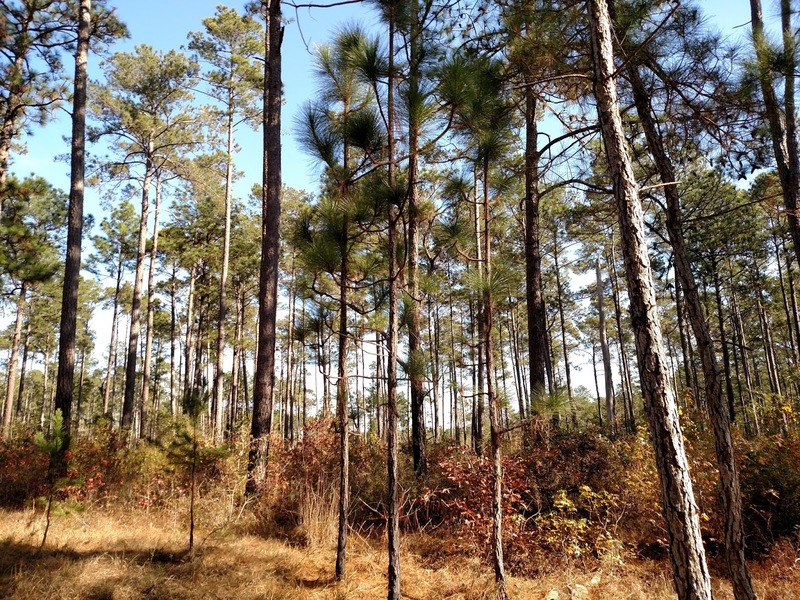 The U.S. Forest Service has identified 25,133 acres of existing longleaf in the National Forests of Texas. They've also designated 250,000 acres intended for future longleaf establishment. Compartment 112 has examples of both. 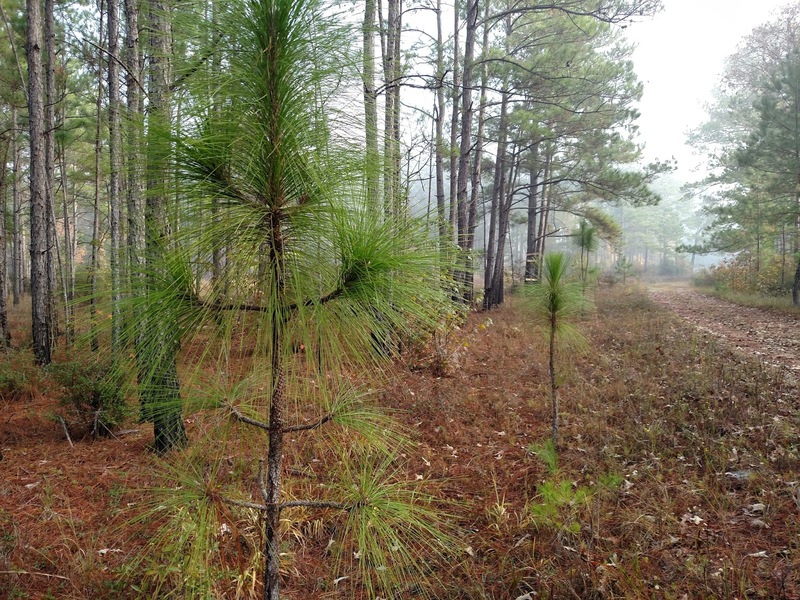 Existing longleaf forests are restored by thinning to 60 Basal Area and burning on 3-year rotations. Staff at Sam Houston burn 35-40k acres annually. The picture below is the boundary between Compartment 112 (left) and private land (right). 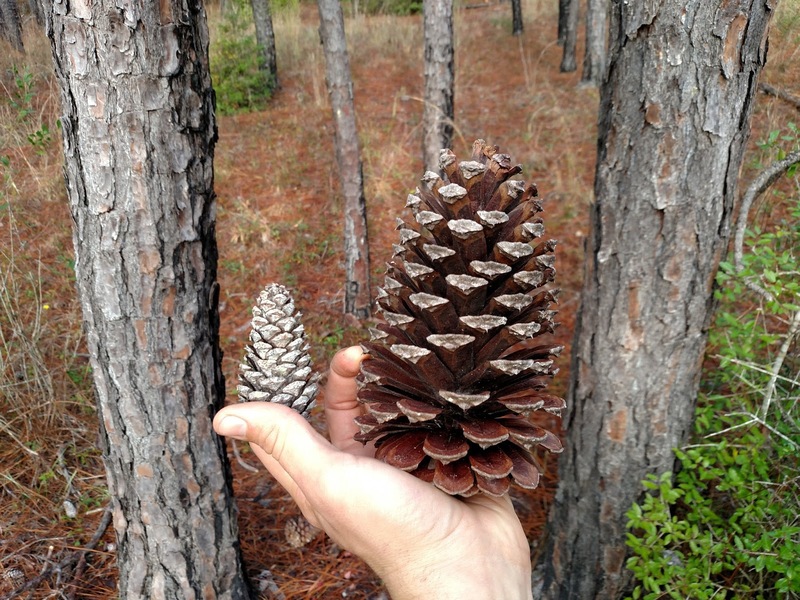 Compare restored and unrestored forests, respectively, a diverse habitat and a monoculture of yaupon holly. Below are some of the oldest longleafs I found at the site, over 2ft wide and around 100ft high. At this size they'd be over 100 years old, probably from the initial regeneration after the area was strip mined around 1900. Some may be even older, tucked along streams or ridges where they've avoided loggers since the late 1800's. New longleafs are also being established here, either by natural regeneration under mature "seed trees," or by transplanting seedlings from the USFS nursery at Stuart Orchard, Louisiana. Natural longleaf regeneration along roadside. 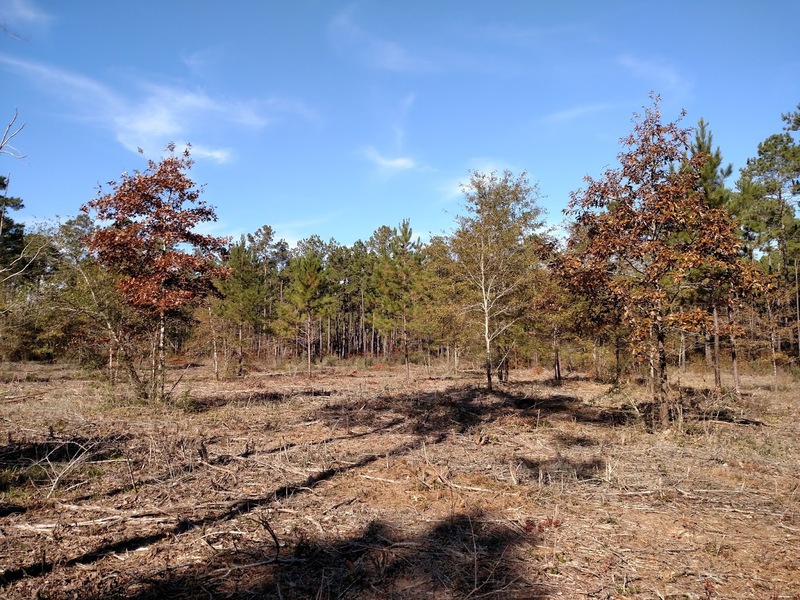 A 'clearcut' area ready for longleaf transplants. What's the difference between pines? What are the benefits of longleaf? Check out my article on longleaf at Kisatchie N.F. for more info. So there we have it—forests managed for both humans and nature, for economy and ecology, standing in clear contrast to negative belief that humans are strictly destructive and nature must be isolated. One is dependent on the other. As we've seen with longleaf pine forests, when humans restore ecosystems, ecosystems are more beneficial to humans—a truly symbiotic relationship.